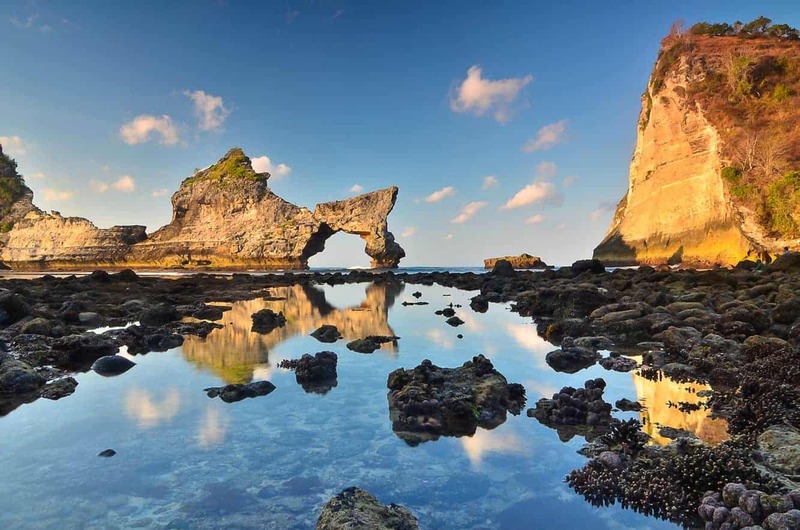 Nusa Penida, one of three islands located South East of Bali, is grouped with Nusa Ceningan and Nusa Lembongan. It is the largest of the three islands. Despite its size, the island has very little solid infrastructure for tourism. But what the island lacks in infrastructure, it makes up for with its enchanting beauty in the wild. The rugged terrain makes it an alluring option for explorers who love to discover new places. One of the best attractions on the island is the bird sanctuary, thanks to the numerous bird species that are native to the island. 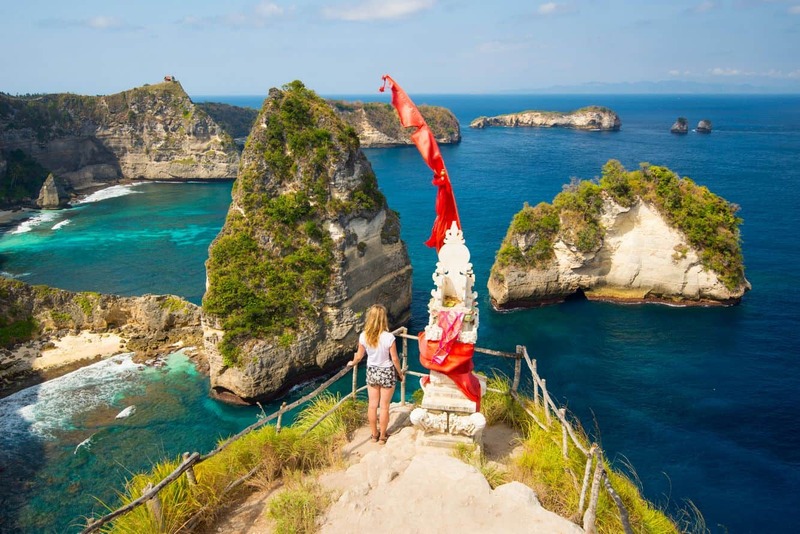 The Bali Startling is an endangered species that has found a home at Nusa Penida, so bird watchers should be on the lookout for the stunning white bird with a drooping crest. It is important that visitors are aware of the island’s local cuisine, as there aren’t any fancy restaurants or cafes located here. However you will find basic eateries, commonly referred to as warungs, scattered across different sections of the island. 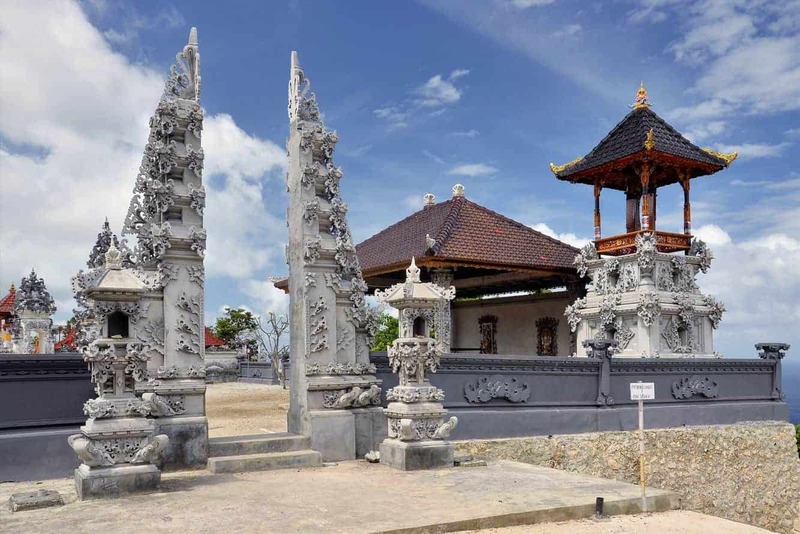 Accommodation is also scattered around the island, but is very much unlike the hotel industry in Bali. Walk-ins to guests houses or bungalows are best and some of the places you could try include the Ring Sameton Inn, Nusa Penida Guesthouse as well as Mutiara Nusa. Nusa Penida can be reached by public boat from Sanur. Ferry services are available from Padang Bai at 1PM. Getting around the island is amazingly easy when using a hired motorcycle. Car rentals are available, but are not as popular. 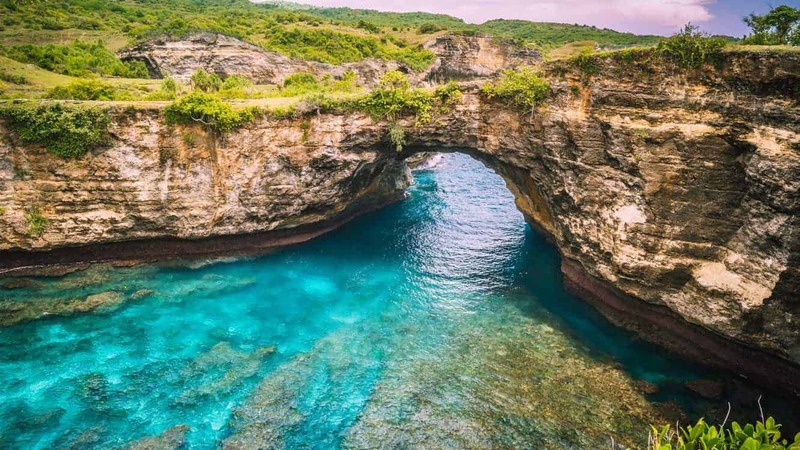 Make sure to visit Nusa Penida on your next trip to Bali. Click the link below to book your Bali accommodation today!